5 Bedroom Detached House For Sale in Milton Keynes for £500,000. A charming five bedroom detached property available for sale in the very popular development of 'Woolstone' in Milton Keynes. 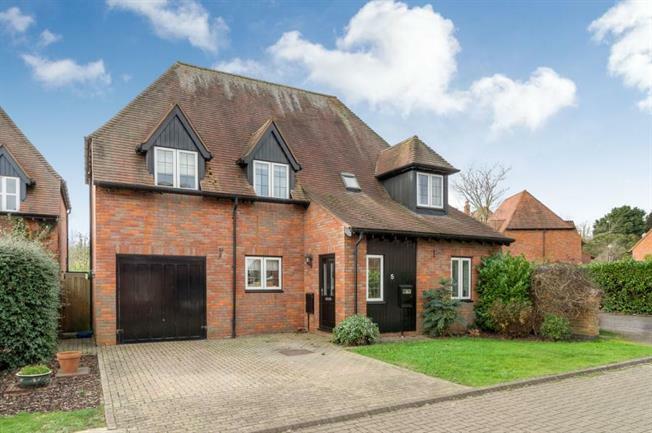 This delightful family home offers easy reach of J14 of the M1 Motorway and catchment to Oakgrove Secondary School. Other benefits include a garage with off road parking, double glazing, gas to radiator central heating and gardens to front and rear. The accommodation in brief comprises: Entrance porch with coat closet, entrance hall, downstairs cloakroom, lounge, dining room, kitchen/breakfast room, utility room, first floor landing, master bedroom with en-suite, four further bedrooms and family bathroom.